Some images from the 2018 annual FEDEGA show. 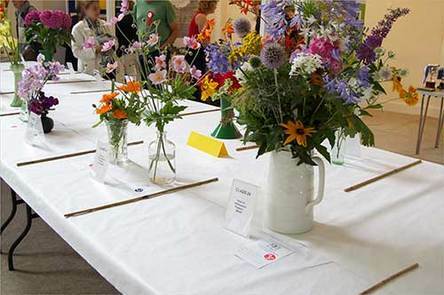 The annual Edinburgh allotments show is back! After a four year absence, the 2016 event was hosted in a brilliantly suitable uptown venue. Presenting a judiciously pruned list of exhibits (if there are classes you would like to see return, FEDEGA invites you to contact them, www.fedaga.org.uk), the event closed with much promise for the future. 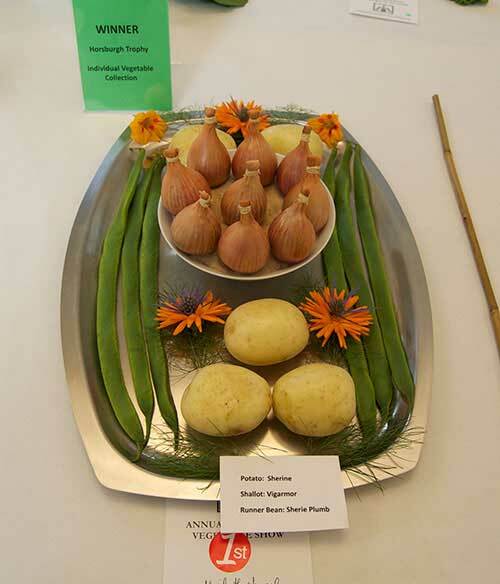 While a little lean on entrants (to be expected following the lengthy gap), an enthusiastic crowd turned out for the prize giving ceremony, a light-hearted affair celebrating all those working in allotments, regardless of whether they entered or won. Some came just to look at the neat rows of flowers and veg, colourful and vibrant against the sunny white backdrop of the Methodist Church, Newington. Others enjoyed the taking part and friendly competition. 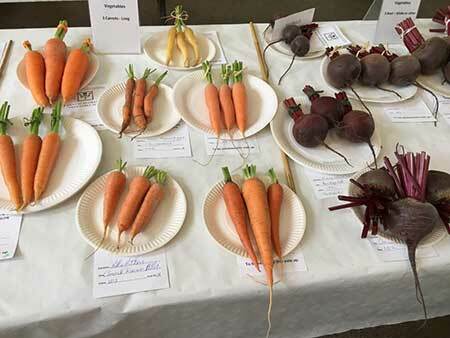 It's worth noting that while the produce is there to be judged, it is with 'best quality' in a very achievable sense in mind—this is not a show about perfection and takes into account organic growing conditions. Mostly it's about sharing the knowledge about what can be grown on any plot in the city. “I should have brought my swedes—they look just as good, if not better, than these ones,” said one visitor. The view of the judges and organisers on the range of exhibits this year is clear—"there's plenty of good stuff out there. Some of it turned up this year. We could do with more!" There was indeed a wealth of produce in some categories. Potatoes, squash, courgettes and beans filled the bench. 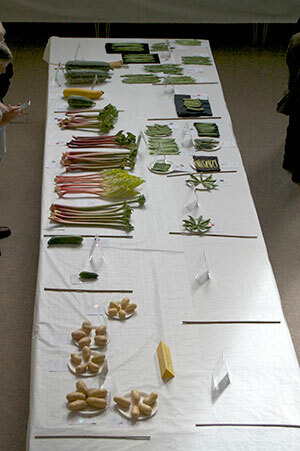 There were some lovely flowers too, but the dahlia, rose and sweet pea categories were low in number. A few classes were neglected altogether with the poor old lettuce nowhere to be seen, perhaps a result of the slug invasion that hit us all this season. FEDEGA will use the fruits of this revival as a pilot, tweaking the entry schedule further to fit the season and the crops allotment holders are most interested in, while continuing to spread the word that this is a show to which everyone is invited to be involved and have some fun, bringing together family and friends for a regular, annual gathering of growers. It seemed everyone visiting the show this year was thrilled with the new venue. Not only did it provide an airy, light space for the produce, but its attractive garden cafe and Fairtrade shop made welcome additions to the day's enjoyment.